Want to save money on your Florida holiday? This July 2020 Florida holiday is based on a family of 3 adults and 3 children. 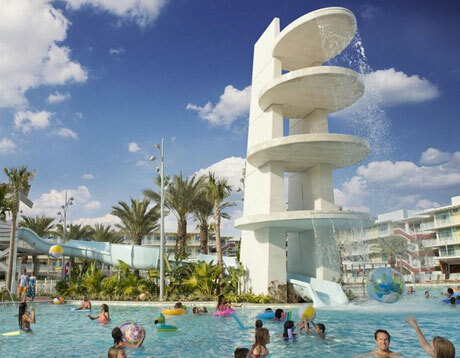 A fortnight at Cabana Bay, Platinum-insured vehicle hire, and Virgin's direct flights to Orlando from Gatwick, Manchester or Glasgow are included. This July 2020 Florida holiday includes Virgin flights direct to Orlando from Gatwick, Manchester or Glasgow. Want to connect from Aberdeen, Newquay, Belfast, Isle of Man or Jersey? Let us know. 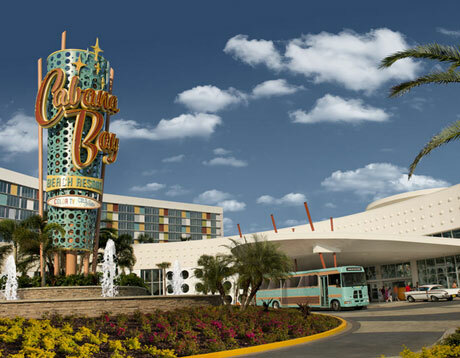 With its fun 50’s theme, the Cabana Bay Beach Resort is a popular Florida destination for families. 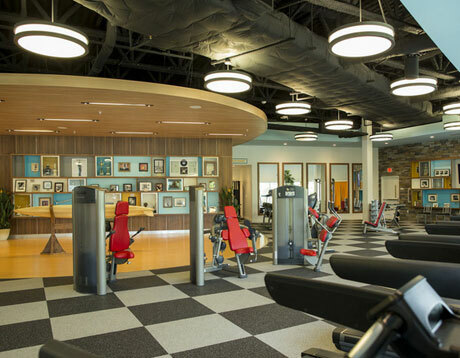 There’s plenty to do – two large swimming pools, a water slide and even a bowling alley! It’s within walking distance to both Universal theme parks. 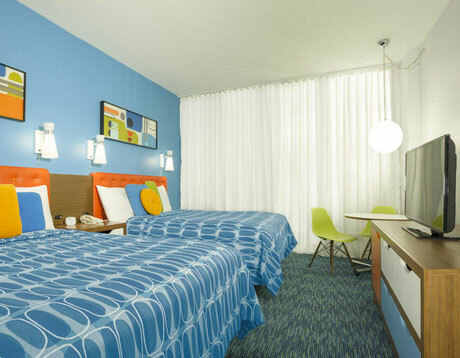 The rooms are ideal for families. 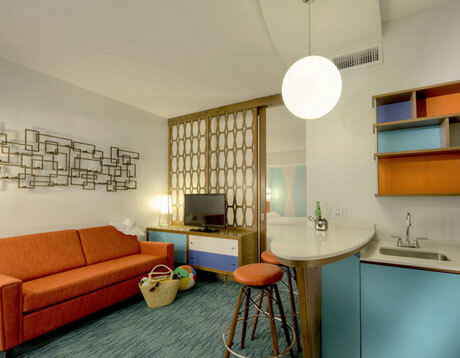 This July 2020 Florida Holiday includes a Tower Family Suite or a Courtyard Family Suite. For a little extra, you can be poolside. 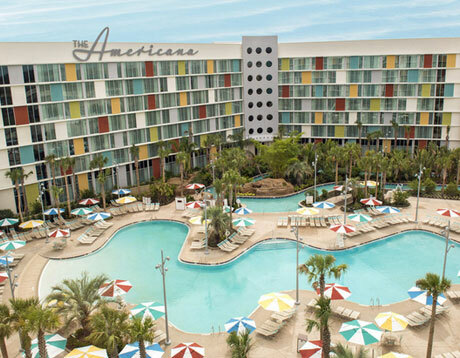 For more information about staying at the Cabana Bay Beach Resort on your July 2020 Florida holiday, watch Universal’s trailer or visit Universal’s website. There are thousands of positive reviews on TripAdvisor. This July 2020 Florida holiday includes a 7-seat minivan. Vehicles are pick-up and drop-off at the airport. Let us know if your car hire needs are different. We deal with all the major car hire companies. 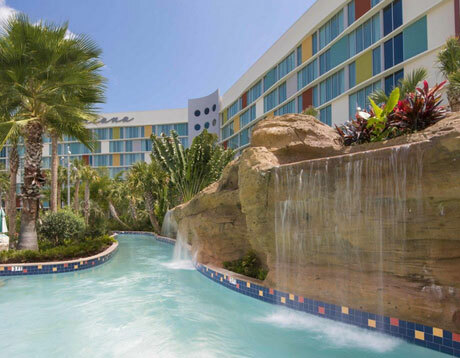 Our July 2020 Florida holiday includes Virgin flights direct to Orlando International, two weeks at Cabana Bay Beach Resort and fully-insured vehicle hire. Book in advance with a deposit of £100 per person. The balance is due 90 days before departure. If July doesn’t suit, why not take a look at our other 2020 Florida holidays? We have offers for every month of the year. We can book any accommodation – hotels, townhouses, resorts, villas. Combine with a flight and vehicle hire for the holiday of a lifetime. Book with a low deposit. ABTA and ATOL protection. Can you leave towards the end of August? Fares go right down 18th of August and onwards. Fly Virgin for a great price. Stay for a fortnight in a comfortable Terra Verde townhouse. Drive a fully-insured vehicle. Book on deposit. ABTA and ATOL protected. 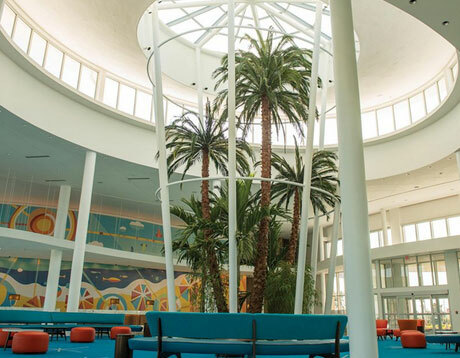 If you're planning a July 2020 Florida holiday but don't know where to start, why not check out our Florida flights July 2020 page? Find out how to book the cheapest Florida flights, the best travel dates, which airport to depart and more. Start planning early and you could make substantial savings.